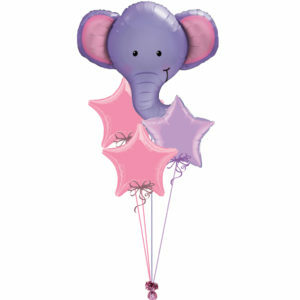 Created with 1 Enchanting Mermaid Shape foil balloon and 3 solid colour foil balloons. 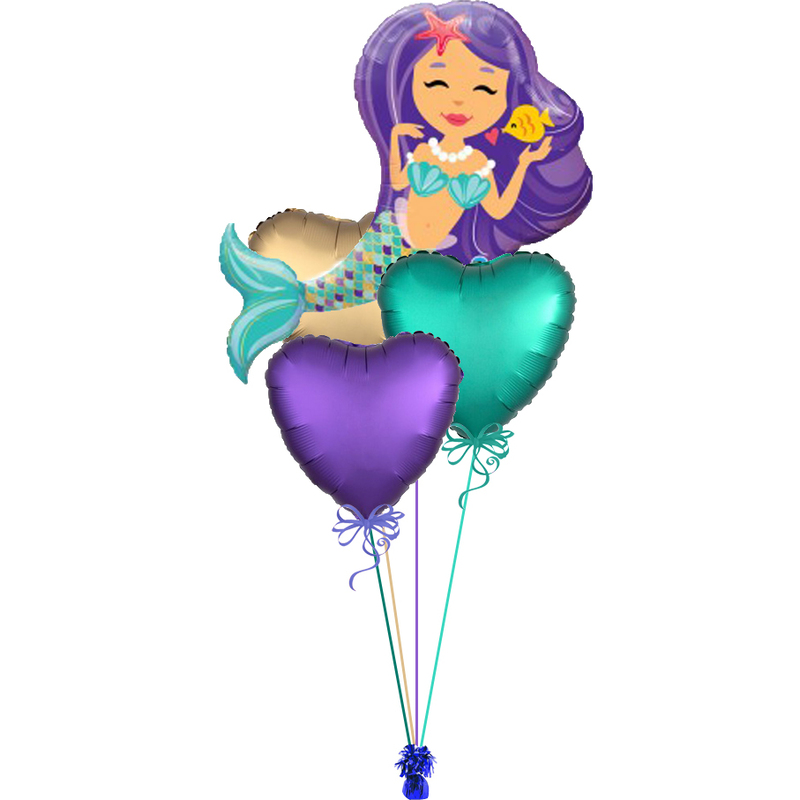 The Enchanting Mermaid Shape foil balloon is 32″ in size and the solid colour foil balloons are 18″ in size. 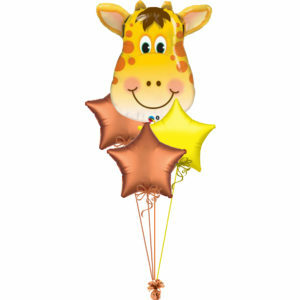 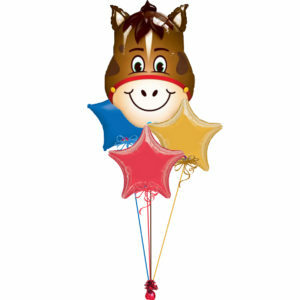 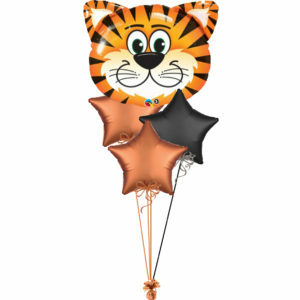 All balloons are attached to a matching colour ribbon and foil weight.